This week, the Sun is still in Aquarius, sign of the outcast mystic, futuristic inventor and unrecognized genius. Mercury will also be entering into Aquarius, putting more emphasis on communicating innovative ideas, even when they go against the societal current. And with Venus hovering only five degrees behind Mars in Aries, a raw libidinal energy will be felt, which like fire itself is incredibly creative and destructive depending on how one uses it. The climax of the week is the lunar eclipse on Friday, February 10th on the Leo/Aquarius axis. Every eclipse is an impactful moment, but this one looks to be quite positive and affirming as it involves a Mystic Rectangle, which softens the tension of two oppositions (Sun/Moon and Jupiter/Uranus) with supportive sextiles and trines. The influence of this lunar event will ripple out for the next six months. Thus it is important to mark the occasion with some extra effort towards making positive changes in one’s life. 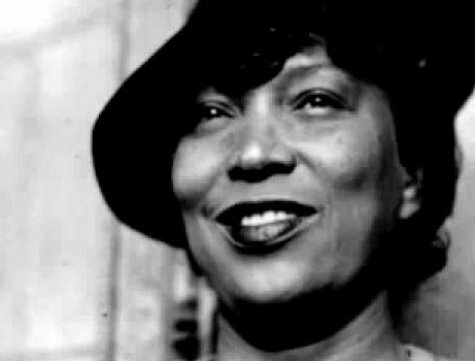 As an African American woman, born to ex-slaves, Zora Neale Hurston defied all expectations and stereotypes of her time. After graduating Howard University in 1918, she was in a position to enter into the fields of anthropology as well as the burgeoning literary scene that was to become the Harlem Renaissance. She aspired to become the authority on Afro–American folklore. Throughout the 1920’s she was offered countless scholarships and opportunities to attain this desire, attending both Barnard and Columbia University where she worked with the noted anthropologists, Franz Boas and his famous students Ruth Benedict and Margaret Mead. Her academic work in anthropology included collecting a corpus of rural black folk-tales. She also wrote extensively on the subject of hoodoo, a blend of folklore, spirituality, and conjuring native to the Deep South. When she was awarded a Guggenheim Fellowship in March 1936 she traveled to Jamaica and Haiti to study voodoo, and she completed her best novel, Their Eyes Were Watching God. This novel, like all her works, was met with reticence and mixed feelings from black and white literary critics. It was not from unanimous praise from which she drew her strength. 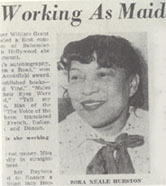 She was ostracized by the other writers in the Harlem Renaissance, including novelist Richard Wright, who criticized Hurston for writing in the voice of rural African American dialects. Hurston’s desire to preserve rural black cultures in dialect and tradition was considered to be in poor taste by those seeking to assimilate black culture into mainstream white American culture. As an anthropologist, she embraced the objectivity that the cool lens of Aquarius offers. She yearned to see the bigger picture of humanity through the dispassionate gaze of the scientist. But even as an artist, her novels and plays remained in Aquarian territory, for her artistic vision was to preserve and promote the traditional dialects and cultural heritage of rural Southern blacks. Hurston was steadfast in her vision and did not falter, even when pressured by her own literary scene to conform to modern politics. This is the kind of strength that might be born in you this week at the lunar eclipse, for when the eye of innovative ideals (Aquarius) meets with the eye of authentic self-expression (Leo) you will be imbued with confidence in your perspective and preternatural courage to do what your heart demands. Hurston’s novel, Their Eyes Were Watching God, is recognized as her best work but even this jewel was not enough to solidify her success. Her life went downhill slowly and then very quickly. Her innovative style was snubbed by publishers for political reasons. She was scandalized by false accusations in public newspapers. And thus she fell into poverty and obscurity. The great scholar/writer spent the last 10 years of her life working as a maid, a substitute teacher, and librarian. She died in 1960 and was buried in an unmarked grave. 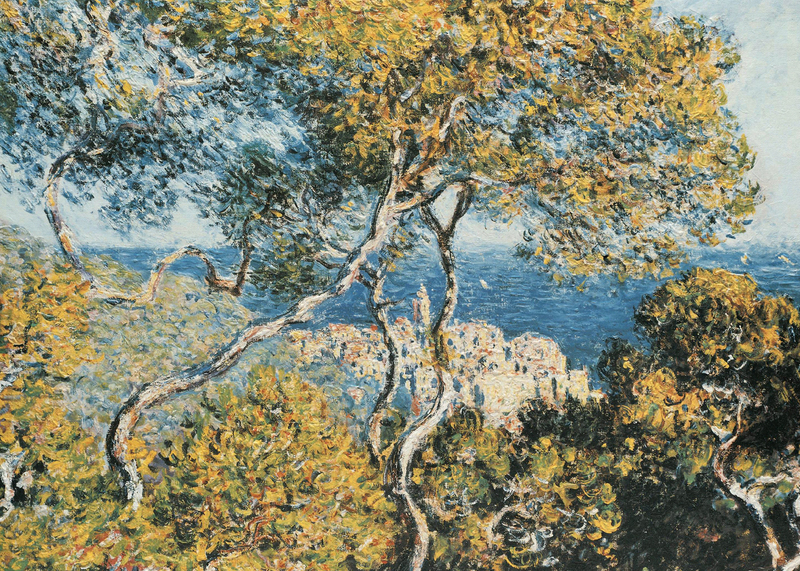 But, like so many great artists, her real influence is posthumous. By the early 70’s, the novelist Alice Walker, (The Color Purple) had revived interest in Zora Neale Hurston’s life and work. As a result, Hurston is now upheld as one of the great figures of 20th century American literature. She was ahead of her time. She defied conventions, even those of her own ilk, and it is precisely because of her spirit of independence and innovation that she is a recognized genius today. So begins the second chapter in the novel, Their Eyes Were Watching God, an exquisitely poetic story about a woman’s search for her authentic self, shrinking in loneliness and blossoming under the light of love. The protagonist, Janie Crawford, fully evokes the author’s heartache, for there is always a painful social price to pay for all who have truly independent minds. Janie, like Hurston, is excluded for her non-conformity and is rebuked for her genuine desire for love. And Janie remains decidedly human throughout, never fully embodying the role of heroine, nor the role of victim. She is both liberated and abused, in love and in sorrow. She exists in a liminal place between categories, just as Aquarius does. If you have not had the pleasure of reading this novel yet, I implore you to do so for it is nothing like anything else from its time in tone, timbre or intention. Hurston’s writing is the essence of poetry, a nectar of divine wisdom pouring forth from the enchanting rhythms of love, will and desire. The week begins on the tail of Jupiter’s station retrograde. When Jupiter, planet of philosophy, turns retrograde, a beautiful opportunity to reassess your morals and ethics arises. In the sign of Libra, you might find that the best way to recalibrate to morality is through beauty, harmony, and symmetry. There is nothing shallow about searching for true beauty in the world. For in this quest, it is impossible not to find that your eyes are watching God. If what you create is not beautiful, what healing purpose does it have? If your friends are not beautiful to you, then how can you say that you love them? Beauty is an ideal that can be realized many times over, every single day. On Tuesday, Mercury enters into Aquarius, bringing unconventional thoughts and ideas to the surface. The strength of this transit will be enhanced only by your own willingness to accept whatever ideas emerge as something that you are being called to explore. Use this transit to put aside your need to be accepted and acceptable in the realm of public discourse. Novelty is born out of the wilderness of imagination, so let your mind wander beyond the beyond, to hear the flute song that was forgotten and remembered again. On Wednesday, the Sun in Aquarius will be in a lovely supportive sextile with its modern planet of rulership, Uranus. This should bring the element of surprise into the mix during the middle of the week, but in a benevolent and creative way. Imagine a honey made from wildflowers. The essences of so many strange blossoms will be unique, and yet so lovingly mixed together that there can be no doubt about the order that emerges from within the chaos. In that order, feel the answers seeking you. On Thursday, Mercury in Aquarius will sextile Venus in Aries, your words will flourish with sweetness. Embrace this warm breeze of grace and charm, using it to great advantage with lovers, friends and business relations. If you are a writer or a speaker, this might be a truly inspired day for your work. On Friday, February 10th, there will be a penumbral Lunar Eclipse at 22 degrees Leo. The Sun and Moon will also be in positive aspects with Jupiter in Libra, Saturn in Sagittarius and Uranus in Aries. Thus, there are supportive connections between the Aquarius Sun and its traditional ruler (Saturn) as well as its modern ruler (Uranus). This represents a tremendous shift towards building something very strong and very positive. Not castles in the air, but instead realized dreams made manifest through concentrated effort and inspired action. Filled with the ingenious qualities of Aquarius and the warm courage of Leo, imagine what strides you can make towards living life with renewed integrity. This eclipse marks the end of the cycle of energies that began during the September 2016 eclipses, which were notably turbulent. Thus, you can now release yourself from repressed anger. You can stimulate new growth in any area of life that has been stagnated and you can fearlessly assert yourself as an independent mind. After the eclipse fades, the waning Moon will transit through the sign of Virgo and the Sun in Aquarius will remain in a trine to Jupiter in Libra. The Moon in Virgo will inspire the practical desire to better distill your emotions into clear teachings and essential lessons. What has your experience of love and hate taught you about life? Fortunately, the emotions that you will be distilling will be dominated by an exuberant feeling of love for life. When the Sun and Jupiter harmonize, the most golden of feelings rise to the surface. If you have been grieving, you can invite in so much comfort on this day. If you are in love, you will feel it expand. If you are in need of faith that life is something you were made for, let this weekend softly warm you to this truth, lulling you into peace.